Beautiful modern contemporary style 4 bedroom house architecture in an area of 2579 Square Feet (240 Square Meter) (287 Square Yards). Estimated cost of this beautiful house is ₹50 lakhs. (December 04, 2017). 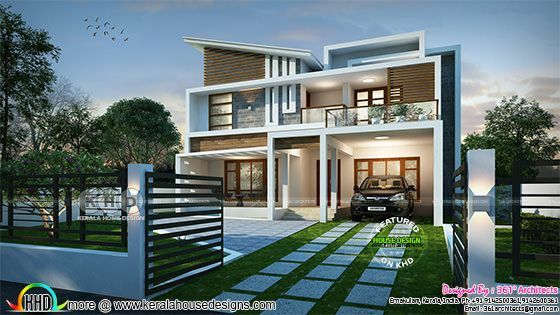 Design provided by 361° Architects, from Ernakulam, Kerala. Ground floor area : 1767 sq.ft. First floor area : 812 sq.ft. Total area : 2579 sq.ft. 0 comments on "Superb contemporary house, estimated cost of ₹50 lakhs"